Are you serious about music? We are. So much so that we consider it homework. It’s not enough to enjoy the music, but also to understand where it came from: to trace it and pinpoint references. Forget what people say about appropriation: good art is all about combining influences and making something new; it’s all about bottom-up expression. This is why it’s important to go back and understand the sources. This is why Howlin’ Wolf is important. I’m not here to claim I’ve been a fan for the longest time and it’s my duty to bring Howlin’ Wolf to the masses. I hadn’t heard him till this year. I had heard OF him, and knew I would have to eventually tap into that source. Much to my delight, that time has now come. 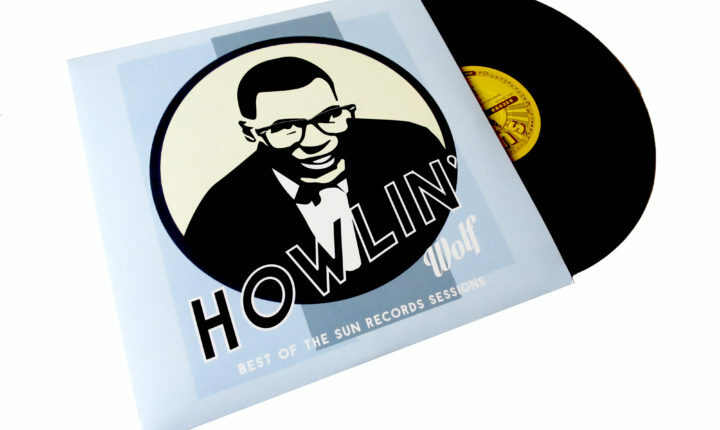 Howlin’ Wolf was a Chicago blues musician and his impact can be felt simply by listening to this collection of his Sun Records recordings. Really, has anything bad come out of that label? And these tracks were all recorded in 1951 and 1952 by Sun Records founder Sam Phillips, to boot. What’s so satisfying about these songs is that they’re the real deal. Those blues progressions sound familiar because they have been revisited so often in modern music. That growling (“howling”) voice is stark yet genuine. Nothing here is derivative: just authentic. This album is full of history which we should know and study. Oh, and it’s also just plain great music. Keep it classy with this Org Music release, which presents these must-have tracks in a slick and simple package (with that classic Sun Records label on both sides) remastered and repressed. Get it from Org Music.